17.-21. Oktober 2018 was a blast and an enrichment for the German-Greek literary movement! Music by The Grix Trio feat. Achim Kaufmann, Live animation by Andreas Karaoulanis. 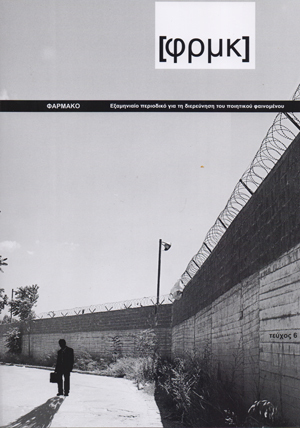 Compared to the current development the international perception of Modern Greek contemporary literature lags years behind, also within the German-speaking area. However, the authors in crisis-shaken Greece have especially in the past years developed an impressive repertoire of new text genres, writing strategies and intermedial forms of presentation, which are as of yet completely unknown in Germany. This correlates with a variety of literary magazines, ambitious small publishing houses, innovative individual projects, translation initiatives and much more that arose from the crisis and is opening spaces and networks for literary initiatives beyond the sales-oriented book market. They show another face of the Modern Greek literature and its activists: interdisciplinary, reflecting on its medium, pop cultural, working towards the public and very politicized, to only name a few of its facets. It’s about time that these authors and literary scenes get discovered internationally! 2017 documenta 14 was already in Athens as a guest under the motto “Learn from Athens”. In that way, new impulses for the appreciation of contemporary artistic production in Greece were set, in the aftermath of the financial and economic crisis that had a noticeably negative impact on the political relationship between Greece and Germany. What has been attempted in the depicting arts is also most desired in literature. Likewise, the Greek-German literary relations need initiatives that would set the current literary productions of both language areas in a relation (“SYN”) as well as reciprocally review each other for aesthetically profitable impulses (“ENERGY”). Because of that the project is, alongside the urgently needed international public mediation of current Modern Greek literature it provides, titled in accordance to the impact it wishes to achieve: SYN_ENERGY BERLIN_ATHENS. On three conference days, the project seeks to bring together authors from the Greek and German language areas, on basis of common aesthetic issues, in a thematically oriented and structured dialogue. With public readings and discussions on four evenings, the project also initiates a contemporarily appropriate reception of current literary developments in the Greek language area to the German-speaking public. The project was initiated by Lettrétage e.V. and Diablog Vision e.V. The project is supported by the donors Hauptstadtkulturfonds (Capital Culture Fund) and Stavros Niarchos Foundation.